Any business that has seen a significant amount of growth will tell you that for all of its perks, it did not come without the inevitable growing pains. As your business grows, you will quickly discover that you need to find a better, more scalable way to interact with your customers to compensate for your growth. But, how do you know when you’re ready? The good news is that if you pay attention to a few clear signals, it can help save your company from some of the pain. Adding a Customer Relationship Management (CRM) system to manage your growing business is a great first step in building out more efficient processes that grow with you. 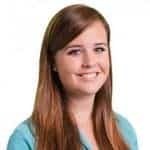 If you find that you or your sales team are using Google sheets, spreadsheets, post-it notes on your computer, stacks of business cards on your desk, etc. to keep track of your sales leads, you just might benefit from CRM. If you have multiple places where you keep your sales information, you are not alone. Research has shown that 61% of employees say that they have to search through four or more different systems to retrieve information. CRM allows you to have a single view into all information relating to your sales process and keep it in one central database that is updated in real time. Even the most seasoned sales reps can find themselves missing appointments or forgetting to follow up with prospects without the proper systems in place. Without a centralized place to gather this information, your management team will be in the dark about these types of issues (that is until they start seeing it affect their sales numbers). Don’t let your company’s sales leads fall through the cracks. CRM can give you insight into every step of the sales process, keep salespeople accountable and provide valuable details about the attainability of your sales targets and goals. Manual reporting is time-consuming and not scalable. If you are spending a great deal of time creating manual reports and finding that it takes more time than it is worth – chances are you could benefit from some automation. CRM can allow you to run customizable reports based on the information that is relevant to your business in only a few steps. Automating this will give you more time to focus on the most important part of reporting – analyzing the data. Keeping information outside of a centralized location can make it very easy to lose valuable data that should be shared with your team. One area where data loss can have a big impact on your business is through employee turnover. If you have a salesperson leave the company, and you don’t have a CRM system, your leads could walk right out the door with them. Having all of your leads data in one place helps to ensure they belong to the company, and not the outgoing salesperson. Your customers expect you to understand their business needs as well as they do. They have also come to expect personalized service. If your prospect/customers are having to repeat themselves every time they call your business, they will not feel a great deal of trust in your ability to handle their needs. Customer-facing employees should have easy access to all prospect/customer information: past calls, emails, meetings and other activities, etc. to inform their interactions. Having the ability to personalize and tailor the sales process to the prospect’s specific needs can also make for a much better relationship with that prospect. 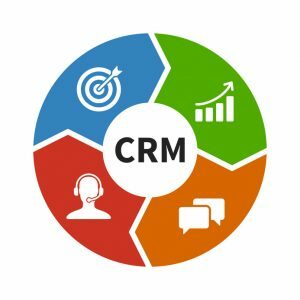 A CRM system can give you the ability to target prospects based on their interests, needs, concerns, location in the sales process, geography, industry and more. This will allow you to give your salespeople the best opportunity to sell to these prospects, while giving your prospects a better, more personalized experience. An occasional trap that many companies find themselves in is an inconsistent sales process. If each person on your sales team has a different process, with different messaging or follow-up timing, it becomes a bit of a mess. A recent study by CSO Insights, found that salespeople spend only 25-30% of their time selling, with the rest spent on administrative work. Standardizing your sales process can make it so that your sales team can focus on what brings in the money. Now, let me warn you, this is not as clear cut as just getting a CRM for this one. Of course, creating a consistent sales process takes more effort than just implementing CRM. But to really achieve consistency, you will need everything CRM provides to automate your follow-up activities. You can also use CRM to house templates and messaging for your sales team to send for initial follow-up. It’s safe to assume that your business is interested in growing and making a profit. If you are still using spreadsheets and post-it notes as your methods of organization, there is a definitive limit to the amount that your company can grow. If you do not have an organized method to look into your sales pipeline, how can you accurately assess your growth strategy? A post-it note is not going to give you that insight. Without this centralized method of sales information, you are at risk of not allocating appropriate resources to the correct places, making it difficult to grow your business in a scalable, efficient way. How has CRM helped your company to make the next step in continued growth? Lauren is an experienced marketer with an extensive knowledge of various industries and marketing capacities. As a Channel Engagement Manager at Zift, she is able to work one-on-one with channel partners in solving their marketing challenges through channel marketing automation solutions.